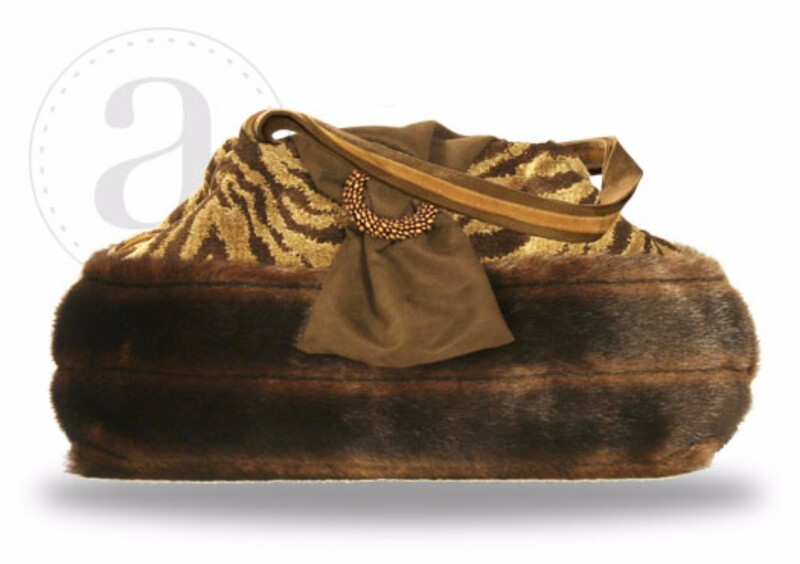 A luxurious, soft mink faux fur in rich browns is combined with brown and beige zebra pattern chenille and topped by an ultra-suede flap threaded through a beaded buckle. Opening wide with a 12" snap frame closure, the Atenti Doctor bag shows off a fully lined water resistant taffeta interior. Inside are a zippered pocket and an open divided pocket with a cell phone slot. Double 22" straps.